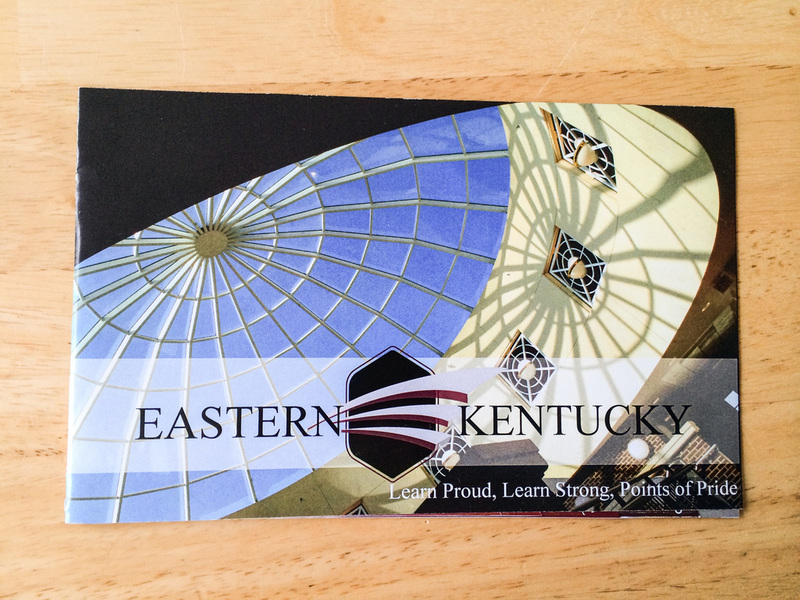 When we were assigned this project EKU was undergoing a change. We have a new President coming into the school and a question of brand had come into play. How do you update a schools brand while still keeping the feel of what a school stands for. Here are two different pamphlets created to help highlight the themes. 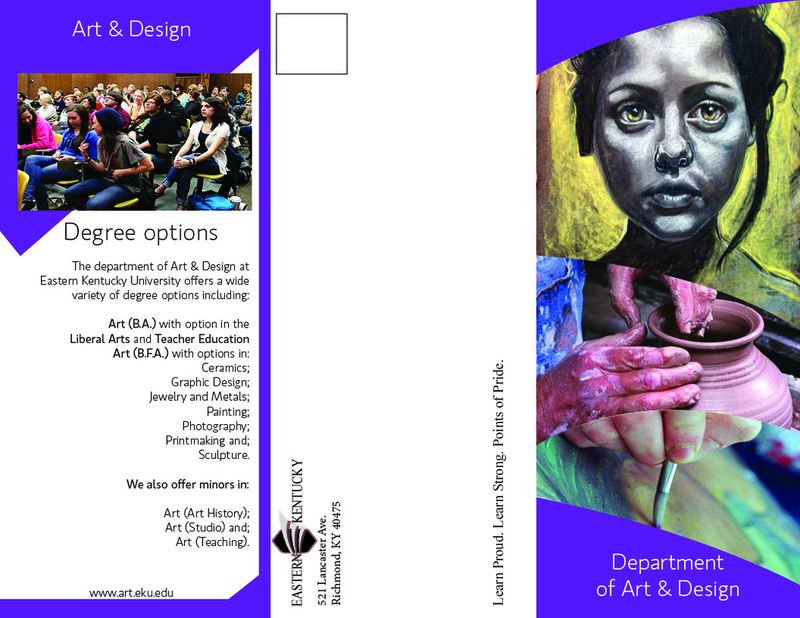 Brochure for the Art Department. 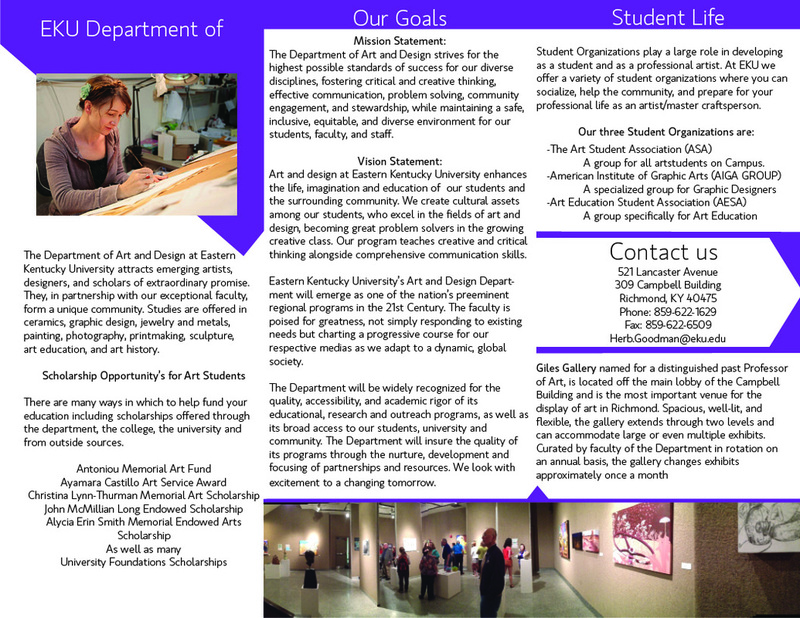 Brochure outlining the school and the different program options.